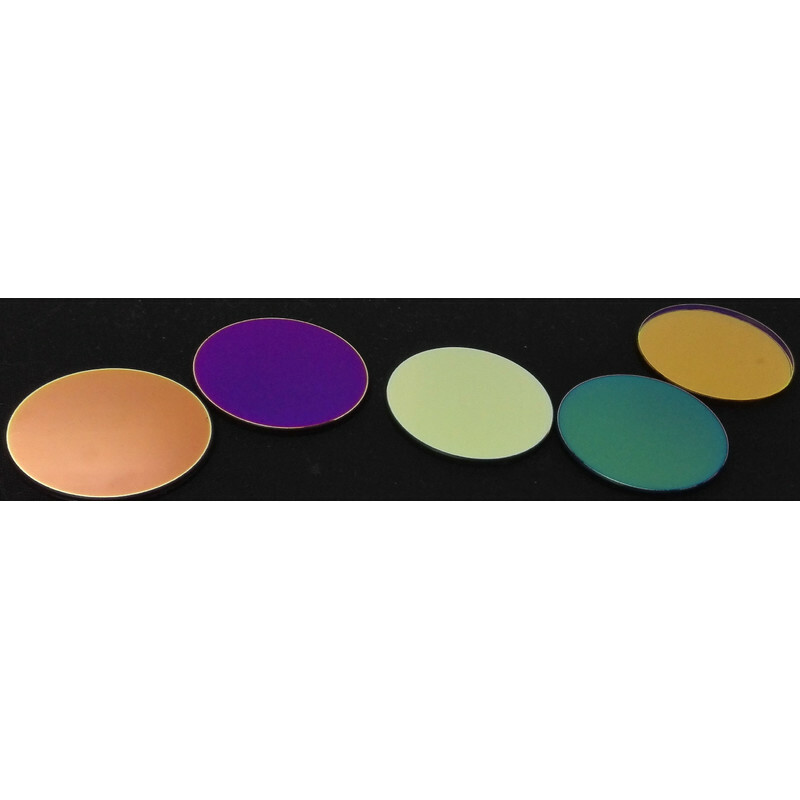 This photometric UBVRI set contains five filters in the dimensions Ø 36x2mm ultraviolet (U), blue (B), visual (V), red (R) and infrared (I). The set is made of quality branded glass, which is coated several times to ensure scratch resistance and exactly lying central wavelength by means of ion-beam-based deposition. Each filter is supplied with a plastic box with EVA padding. Please note that this filter may never be used as the sole sun filter!